If you’re a child of the ‘90s you’ll no doubt recall a certain show about a merry band of mutants on Saturday mornings. That’s right; I’m talking about X-Men. Long before Marvel hit gold with their recent Avengers films they had great success in the 1990’s with their animated shows based on Spider-Man, Iron Man, Fantastic Four, and of course X-Men. 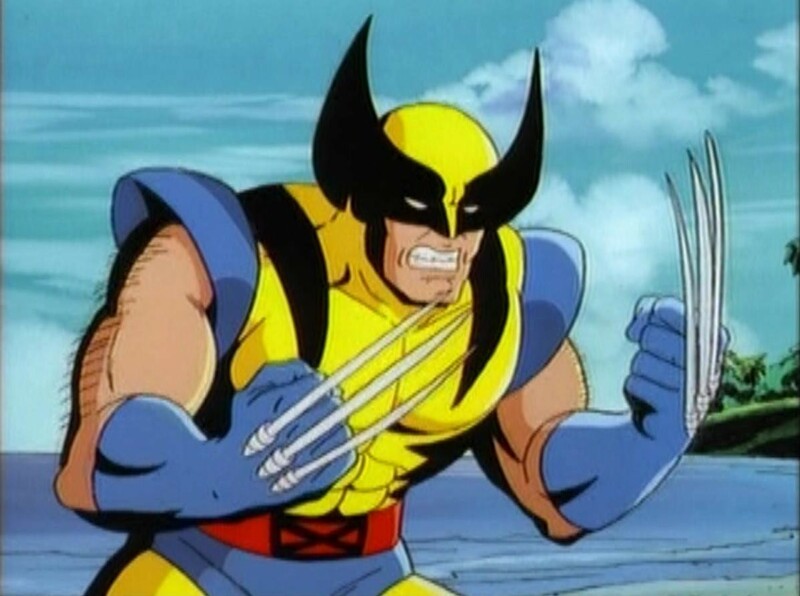 Now the show that we know and love today almost was a totally different program because before it was a failed pilot known as Pryde of the X-men, which featured Wolverine with an Australian accent. Lucky for us Marvel decided to give our favorite mutants another shot and issued a new pilot and history was made. X-Men became a show that captured the spirit of the comic book by adapting some of the best storylines from the pages of the comics and letting its characters shine. But how do these characters rank? I am convinced that the only reason Kelsey Grammer got to play Beast in X-Men: The Last Stand was because of how he was portrayed in this show. Beast was a treated as a soft and loveable version of Grammer’s Frasier character in that he had a classy way about him and had an extensive knowledge of everything. Whenever the X-Men had a problem that needed a bit of technical and science know-how they called upon on our furry blue friend who was always there to save the day armed with a classic literary reference. 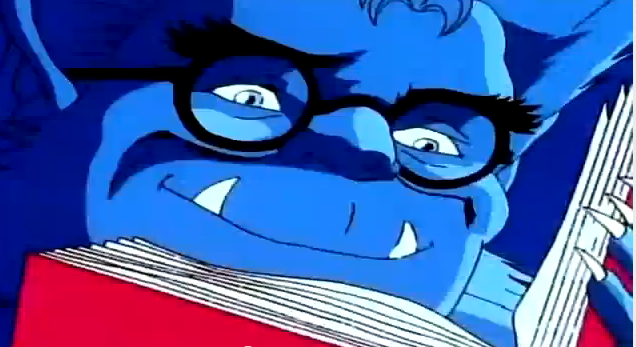 But it wasn’t just Beast’s book smarts that made him a great character but it was also his compassionate side. Beast was never one to violently lash out against humanity, even when the girl he loves is kidnapped by human terrorists. This made Beast the mutant that all other mutants should look up to; a smart, well-mannered, and kind guy who would like the world to get along. From the mutant who took the non-violent path to the one who fought for mutant rights with iron fist. Magneto was a villain who was hard to hate. He wasn’t bent on world destruction like Apocalypse or stalking Cyclops and Jean Grey like Mister Sinister but he was focused on the survival of his race at all costs. Sure, Eric Lensherr’s methods weren’t the best such as attacking a missile factory but you can during the course of the show what would drive a man to such lengths. Throughout the course of the show we see terrible actions taken on the mutant race ranging from protests to the Genosha slave camp. With all that going on you can’t blame a guy for getting angry but the master of magnetism takes it too far. But luckily for the world Professor Xavier is always there to lecture him and bring his plans crashing down. No matter what medium you use Rogue is a tragic character. She is a good-natured southern girl who just wishes to experience human touch. Time and time again on the show we saw what happens when she touches someone when she’s not wearing her gloves. We saw her first boyfriend go into a coma, knocked out Gambit, and temporally took on Cyclops optic blasts. No matter what, if Rogue has any contact with anyone she takes a part of them with her which is a lot for anyone to deal with. 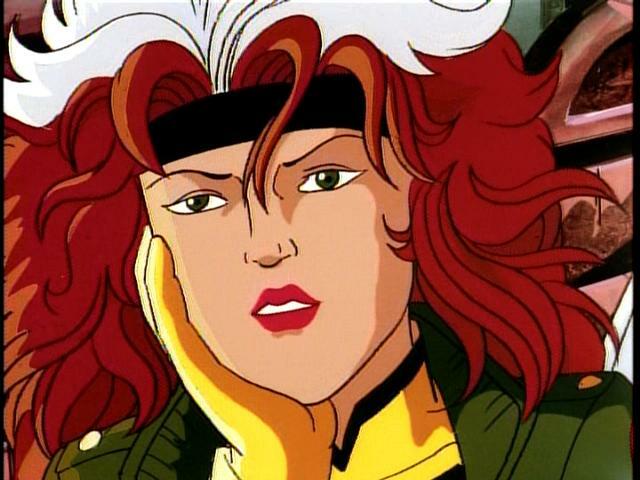 To most people it would make them take on a dark and morose personality but not Rogue. She always appears to be in high spirits and joking around with her fellow X-Men. What always made her character fun was that she was one half of a classic flirty “will they or won’t they” TV couple with Gambit. Their back and forth was always good for a laugh but it had a shadow of sadness in that she would never get a chance to get really close to that Cajun boy. Speaking of the raging Cajun, who didn’t grab a deck of cards and starting throwing them around after watching this show? There was just something about this character that made him a high favorite among fans of the show. Gambit was always so cool in the face of danger armed with his kinetically charged playing cards and a quick one liner. But it seemed that no matter how many times this gumbo loving hero would put his neck on the line for his team mates they never trusted him. Gambit always seemed like he was on the outs with his mutant buddies. Sure, he was a member of the Guild of Thieves but he ditched them and became a good guy full time. The X-Men should be thankful such a wild card took residence in the mansion. No matter who you said your favorite character was from this show the true reason anyone watched was Wolverine. His story of discovering his past while trying to learn to be on a team always made for great television. It seemed that week after week we would peal back a layer of the onion that is Logan’s former days such as his time as Weapon X and also the time he spent as a member of Alpha Flight. What was also great about this show is that it kept the Wolverine character just how he was in the comic book. Logan was rough, tough, and didn’t play well with others. Now since it is a kids show old canucklehead couldn’t do what he does best because that would be too violent but you get a feeling that the character could let out his not nice side any time his team wasn’t looking. I’m just glad that with this show they kept Wolverine Canadian and not Australian like in the original pilot. Visit T-Shirts.com, where you can find these X-Men T-shirts and more.